Latest MCU+PPM+CNT Flash Files v8.75 are available to direct download for Nokia X2-01 RM-709. Flash Files / Firmware are used to update phone software. They can be install via flash tool or flashing box. So, if you are Nokia X2-01 RM-709 phone owner and want to update your mobile software then download the Nokia X2-01 RM-709 v8.75 Flash Files using link we have provided below. 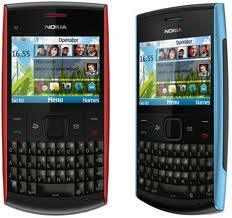 0 Comment "Nokia X2-01 RM-709 v8.75 (latest) Flash Files Download"